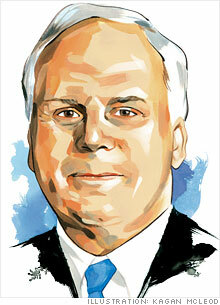 FORTUNE -- Every day more than 285,000 FedEx team members deliver some 7 million packages to 220 countries. Every 24 hours our aircraft fly 500,000 miles, and our couriers travel 2.5 million miles. We accomplish this with 670 aircraft and 70,000 motorized vehicles worldwide -- nearly every single one of which is fueled by oil, the lifeblood of today's mobile, global economy. We are all dependent upon it, and that dependence comes at a significant cost. U.S. armed forces expend enormous resources protecting chronically vulnerable oil transit routes and infrastructure around the globe. Oil dependence influences U.S. foreign policy, requiring us to accommodate governments that share neither our values nor our goals. Every American recession over the past 35 years has been preceded by -- or occurred concurrently with -- an oil price spike. And petroleum was responsible for 43% of U.S. energy-related CO2 emissions in 2009. We cannot continue down this path. There is, however, a solution that may become economically attractive sooner than most think: cars and trucks powered by electricity. Electricity is generated by a diverse, domestic, stable, fundamentally scalable portfolio of fuels that is almost entirely free of oil. With an electrified transportation system, no single fuel source -- or producer -- could hold us hostage the way just one nation can disrupt the flow of petroleum today. In addition, electric vehicles have better carbon-emission profiles than today's gas-powered ones, an advantage that will improve over time as we charge more and more of our cars and trucks with low-carbon sources of power. The technology is already here. People are rushing to buy the first all-electric Nissan Leafs and plug-in hybrid Chevy Volts. In fact, the real question about electric vehicles is not whether they will be built, but who will build them. European and Asian governments and businesses have shown a willingness to move forward aggressively. The U.S. cannot risk falling behind. The question, therefore, is how best to seize the opportunity that electric vehicles offer. 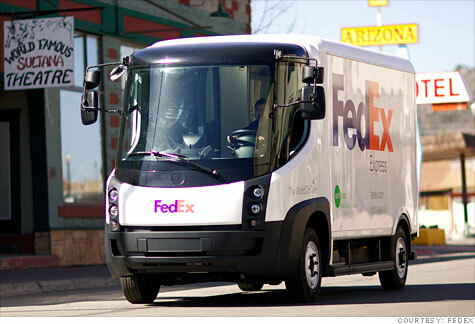 FedEx (FDX, Fortune 500) has deployed its first all-electric delivery vehicles and will have 31 in service by the middle of this year. Early results confirm that the costs of operating and maintaining electric vehicles are significantly less than those for traditional internal-combustion-engine vehicles. In some cases we've achieved savings of 70% to 80%. As the price of batteries continues to fall, mostly due to scale production, the economics will start to make real sense from a total-cost-of-ownership perspective. So we are making a start at FedEx, but it is not enough when it comes to the question of combating our nation's dependence on oil. What we need to protect our nation is the environment to create in a few short years an entirely new transportation system with millions, and then tens of millions, of electric cars and trucks. And there is a way to make it happen -- pass a bill to promote electric vehicles. Last summer Republicans and Democrats on the Senate Energy Committee voted in favor of a plan to assist the deployment of electric vehicles and infrastructure in the U.S. The bill, which still hasn't passed, was based in part on policy recommendations by the Electrification Coalition, a group of which I am a member. It calls for the creation of electrification "deployment communities": regions where incentives would support electrification at scale. It leverages constrained federal resources in a market-friendly way by encouraging communities to work with major employers, utilities, and other stakeholders to find the most cost-effective pathways to electrification. I am not someone who tends to advocate increased government involvement in the private sector. But there is no free market for oil. This is not a market issue -- it is a national security issue. Republicans and Democrats are talking about electric vehicles as a truly bipartisan solution to our oil dependence. We all must urge them to continue to move the ball forward. What is needed now is an urgent, national commitment to action.